Place walnuts in a lined baking tray and light toast in oven under 160 degrees fan-forced heat. Once walnuts brown slightly, remove tray and leave to cool for about 5 minutes. Roughly chop up. 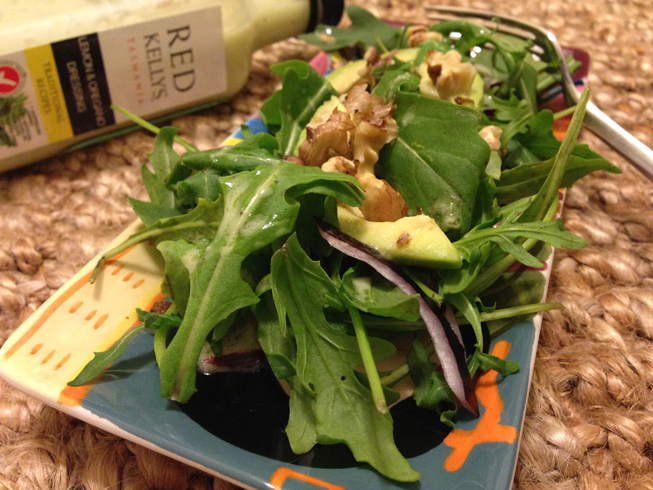 Place rocket leaves, avocado, and onion in a salad bowl. 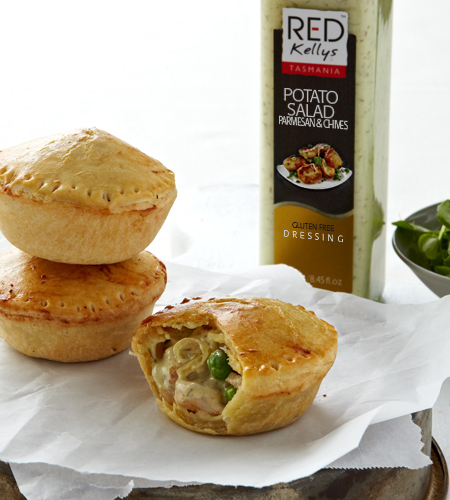 Drizzle over with the dressing (adjust to your preference), scatter walnuts on the top and enjoy! Immerse cut avocado immediately in ice cold water before slicing or dicing. All of these methods prevent oxygen from getting to the avocado which causes oxidising. Also, use some plastic wrap over your salad bowl to keep oxygen out until the salad is ready to be served.